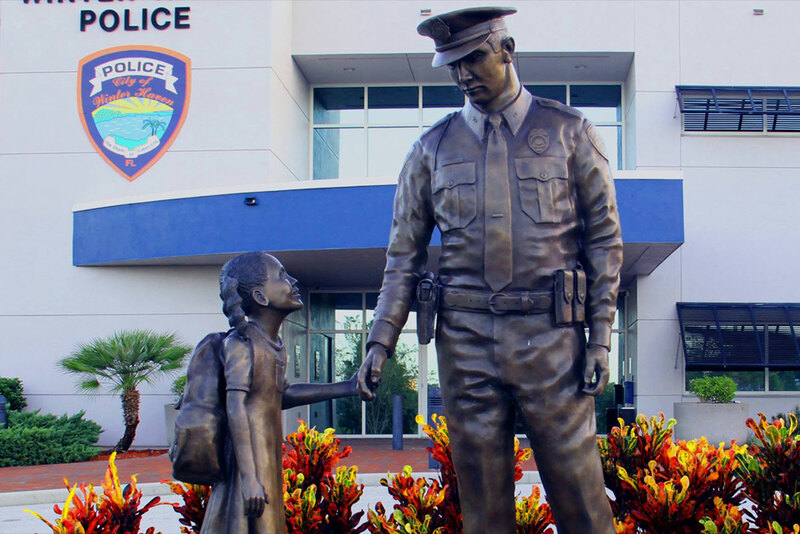 The men and women of the Winter Haven Police Department take this community to heart. All of the programs that the members are involved in are designed to enhance the quality of life for the residents of Winter Haven. Many of the programs are geared towards education for citizens of all ages. Programs and services are free and we encourage citizens to inquire and become involved. Our Police Leadership Council gives citizens an opportunity to come into the Department learning the various procedures, roles and operations of a municipal Police Department. Residents learn first hand about everything from patrol to crime scene, investigations to records. Held once a year, this eight-week program meets once a week and is action packed and informative. Our goal is to engage our youth of all ages to keep campuses safe and to help build strong relationship with the youth and their families for now and in the future. We believe in addressing problems early, before they become big problems. The Citizen Volunteer Unit is a vital part of the Winter Haven Police Department. Volunteers serve in many areas of the agency, including administrative, neighborhood patrol, trail patrol, assisting detectives and much more. Your skills may be just what the agency needs while allowing you to use your talents in a unique capacity in law enforcement. The Winter Haven Police Department Chaplaincy Program is a diverse corps of dedicated men and women who offer moral, emotional and spiritual guidance to Winter Haven Police members and their families. Chaplains may also serve the citizens of Winter Haven by assisting police personnel in stressful situations involving serious injury or death.